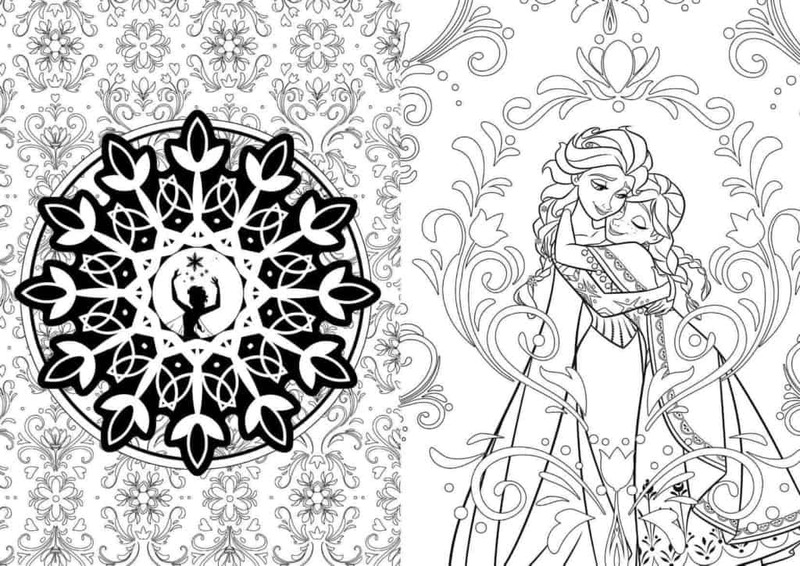 This Art of Coloring Disney Frozen book is a delight for fans of the movie who want a very high quality, good value coloring book. There are 100 images to color in this Disney coloring book. As soon as you pick up this coloring book it feels high quality. The cover is thick cardboard on both the front and the back. The pages have designs on both sides. However, the paper in the book is thick enough so that the designs don’t show through to the other side. 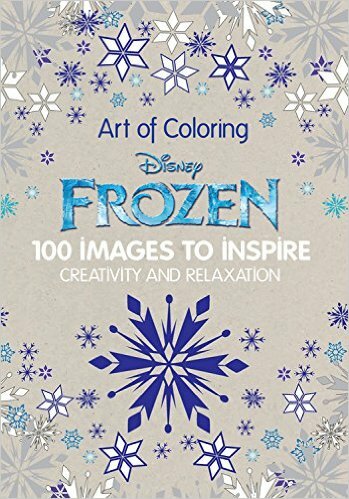 The paper in this Art of Coloring Disney Frozen coloring book is high quality enough so that you can even use gel pens and it does not go through to the other side. This is a very important feature of an adult coloring book – unfortunately not all are as good as this one. Pencils work beautifully as well. Markers are not going to be a good thing to use as they will bleed through the paper – although this has happened with every coloring book we have used. Stick to coloring pencils and gel pens and you will have beautiful results. You can easily cut each page out if you want to as it has a sewn binding. Another mark of a higher standard of coloring book. Most of the pictures of the characters are of Anna and Elsa. There are some of Olaf, but unfortunately not of Kristoff or Hans. The other designs are beautiful. I feel that they get the right balance for an adult coloring book of character pictures and other unique designs. There are 25 designs in the coloring book which cover 2 complete pages. The other 75 designs are individual pages. 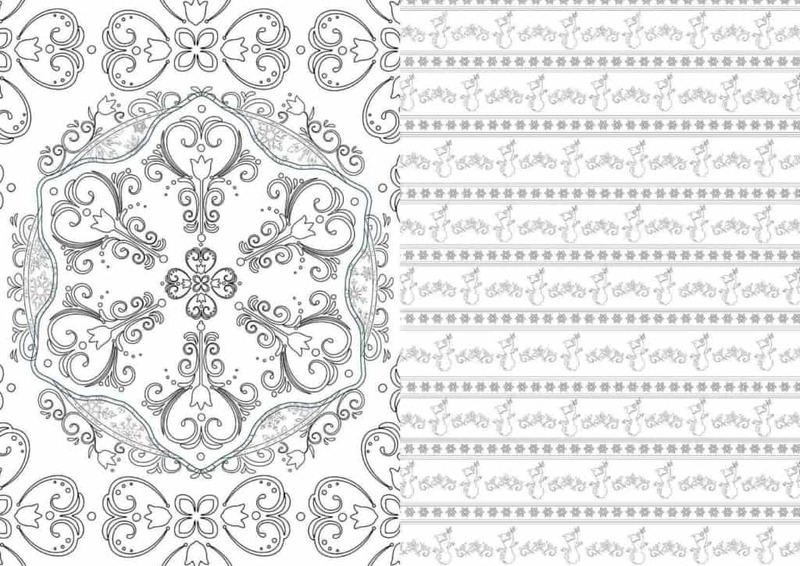 As you would expect, there are lots of beautiful snow flake designs to color. There are a lot of wall paper design type pages as well. I love these type of designs so was very pleased to see them in this book.